Client virtualization does not replace physical PCs, but instead adds significant infrastructure and costs, creating a hybrid environment of both physical and virtual desktops. No tools exist for managing all key aspects of this hybrid environment, and traditional datacenter or PC-centric management approaches break down. There is a better way. 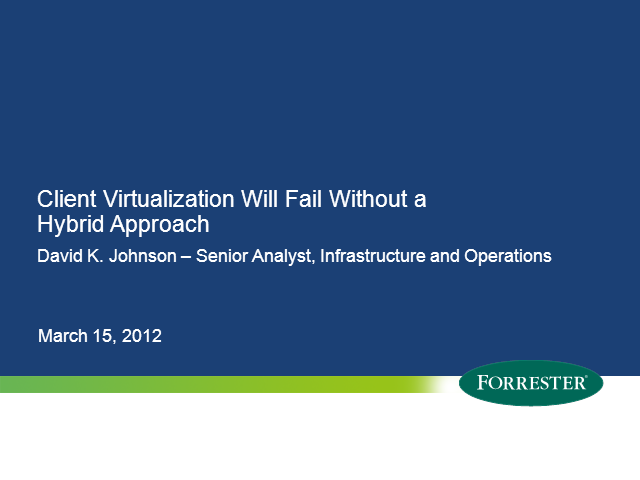 Join David K. Johnson from Forrester Research as he describes the approach being taken by firms who have achieved success with their client virtualization initiatives.